Every business and organization deserves the benefits of a Hosted VoIP phone system! Internal efficiencies, caller experiences, flexible deployment options, customization options and financial advantages are benefits enjoyed by organizations utilizing Hosted VoIP. Non-profit organizations come in many shapes and sizes with varying means of securing funding or covering operational costs. Often, purchasing a new phone system is deferred or not even considered because of concerns over capital costs. One of the greatest benefits of a Hosted VoIP solution is that the costs are very reasonable and can easily be recovered through monthly phone service savings over the course of months, not years! There are several reasons for the lower financial outlay when compared to purchasing a traditional phone system. First, with Hosted VoIP, you're not purchasing a phone system at all! You're only securing the number of VoIP phones you need to operate. Good VoIP phone costs range from $90 to $250, with a standard expectation for a full-featured, top quality manufactured VoIP phone would be $125. Second, you literally would never need to consider phone system replacement again! As time goes on, you may need to replace a phone or add a phone, but it is up to your Hosted VoIP provider to maintain the system and add newer VoIP phone models to their phone system. 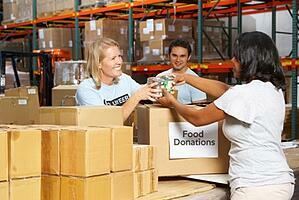 There are many Hosted VoIP providers for a non-profit organization to choose from. This provides the opportunity to seek out a phone company who will provide phone service at monthly rates that will save you money when compared to your current phone bill. You may also find local providers who provide who are interested in providing economic benefits to the non-profits in their community. For example, sipVine, as a way of giving back to their hometown community of Kansas City and all the communities they serve nationwide, automatically discounts the VoIP phones and phone service for their non-profit customers. "Many businesses took a chance on us back when we started in 2005", states Robert Conner, sipVine's CEO. "We have grown tremendously since then after being embraced by this community and others. We take great pride in sharing this good fortune with our communities by offering discounts to non-profit organizations. We'll find a way to save them money so they can choose to divert the monetary gains toward their mission rather than administrative expenses." Should your non-profit need any assistance in assessing the benefits of moving to a Hosted VoIP service specific to your organization, please don't hesitate contacting sipVine. No obligation, of course. We're here to help! About the author: Mark Greim is the Vice President of Sales and Marketing at sipVine, a provider of a variety of VoIP phone solutions and services. Mark has extensive experience working for start-up or entrepreneurial organizations and has a passion for affordable, reliable, and purposeful technology solutions in those environments. The debate between landlines and cloud telephony is over. Most businesses have converted or soon will be converting to Hosted VoIP for their business phone service. Whether your small business is located in Kansas City or New York City, traditional phone companies continue to increase the pricing on analog landlines, which only fuels the exodus. Manufacturers of phone systems are discontinuing systems that are analog based in favor of VoIP phone or VoIP enabled phone systems. Soon, it will be difficult to find replacement parts or phones and receive repair or maintenance services on analog-based phone systems. If you're running a business that is still utilizing an analog phone system, you are obviously maximizing your return on investment. However, you may be finding that with your phone service plan price increases and your rising cost of service and repair, your monthly savings by moving to Hosted VoIP will provide a quick return on the new investment. You also may be very busy running your business and any thought of changing over your phone system may create stress and wasted cycles. Rest assured as there are ways to create a no-stress conversion to Hosted VoIP. Be more familiar with your business and the community you both serve. They can visit with you face to face and get to know your expectations and requirements. Be sure that the local provider is actually providing the system and service and not reselling or white labeling a product of a national provider. It is also good to look for longevity in the market. Ask for local references, both long term clients and recent additions. These should give you a good idea of how the provider is performing. Again, the right provider will help you through this important component. National providers are quick to drop ship phones and turn the programming over to you to handle via a web portal. A local provider will be able to meet with you, understand your business requirements, and help identify areas of opportunity, such as call flows, automated attendant options, and customer communication demands. The local provider will be able to consult with you on some best practice options and also customize these options specifically to how you want to communicate. You can also increase your availability for key customer contacts, like sales and customer service, through mobility options. Finally, the provider should be able to take all of the information gathered and pre-program the phones and call flows prior to the installation! You can relieve a lot of stress in this stage by selecting the best day and time for the installation and training. The provider will be able to come in and set up the phones, conduct a training session, and seamlessly port your current numbers to the new service. The installation shouldn't be intrusive at all. A new phone is placed where you need it, side by side with the current phone until the numbers port. VoIP phones can share an ethernet connection with a computer if there is not a dedicated ethernet connection available. You can help by making sure there's an ethernet connection wherever you want a phone. Also, VoIP phones require power, so make sure electrical is available at each phone location. Or, you can also choose to purchase a Power Over Ethernet (POE) Switch, which can easily be introduced to your network and eliminate the need for a power cord running to the phone. Finally, VoIP phones work differently than an analog key system. Although most of the changes are positive, it is still a change. You can relieve stress by introducing your team to the benefits they will receive and set expectations that they should embrace the change! This will certainly help relieve the stress of this or any conversion. Remember to relax and take comfort in the fact that most of your business peers have upgraded their business phone service to cloud telephony. By selecting the right provider, customizing your set up, and taking the steps to make the conversion successful, you will have a positive experience and receive many operational and economic benefits. Unsure Which Direction to Go? Find the Best Phone System for Your Small Business. You know it is time for a new phone system, but you're overwhelmed with how to start your search. This will help you determine what type of phone service provider is best for your small business. Many small businesses have determined that their existing phone system is outdated and past the point for repair and they are looking where to turn to maximize their new investment. Their current phone system is failing or falling behind the features and functionality their peer businesses or competitors are now enjoying since moving to a Hosted VoIP phone service. Even though it is clear through high adoption rates that most companies have selected Hosted VoIP as the best phone system for small business, it is more of a challenge to find the service provider that will work best for you. There's a new competitive landscape in the world of business phone service and systems. In the old days, you would seek out a phone system from a local manufacturer's representative and the phone service from the Regional Bell Operating Company. Today, Hosted VoIP providers deliver both the phone system and phone service to the business, essentially a "new telecom bundle". The challenge is that there are a myriad of Hosted VoIP service providers, from large global/national providers to regionally focused service providers and down to value added resellers of a white-labeled product. By comparing the capabilities of each type of organization and matching to the unique requirements of your business, selection of the phone service provider that is right for you becomes more clear. Internal IT resources can spend the time required to program the phones and call flows themselves and take care of on-going administration. Businesses who don't have the in-house capabilities or time to take on the programming and administration are less of a fit and tend to be frustrated with the customer service engagement with these providers. The focus by the provider is to instruct the business on how to utilize the service portal rather than solving the issue. Global VoIP providers are typically publicly traded companies and tend to be on the cutting edge of new product development. Their areas of focus are marketing and product development, as they are under the watchful eyes of their shareholders for new customer additions every quarter. They dominate the paid search marketing strategies, so you will have no problem finding them on line and receiving a quote for your service. These providers drop ship the phones and provide a robust customer portal for businesses to self-service their phone programming. Businesses who do not have an in-house IT resource or have the time or expertise to handle the programming and administration of the phones and call flows are best suited to be served by a Regional/Local Hosted VoIP provider. Typically, these small businesses are looking to maximize their communication strategies with current technology. Providers in this category are typically privately held organizations with a singular focus on VoIP service. They are not resellers or have secured a white-labeled platform from a major provider, but have their own platform and service. Being privately held and internally responsible for product development, these companies tend to follow the larger providers when it comes to new feature development. However, where they really shine compared to the nationals is in the level of customer service provided. These providers tend to provide more of a full-service administration for their customers, rather than pushing customers to a portal. They typically handle the programming of the phones and system for their customers so that the business requirements are better met. 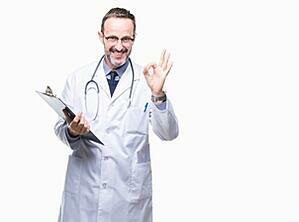 When searching for these providers on-line, add your location. For example, search for "hosted VoIP providers in Kansas City," and review the non-paid search results on the first or second page. Not only visit their website to make sure they are truly local, but check out their Google listing and reviews. Once in touch with these providers, asking specific questions about their platform (is it their own or do they resell or white label) and their approach to customer service (full-service or self-service) will help you confirm that you've found a provider in this category. Small businesses can take advantage of this model and receive higher level features from a robust platform. What may be a challenge is that the Hosted VoIP company here is not ultimately responsible for the pricing, support, system up-time, and stability, and they may or may not disclose this fact with you. You would need to decide if you are comfortable trusting your phone communications with this structure. There are many businesses who have a specialty in another business service, such as IT support, who have added Hosted VoIP to their service offerings. There are two ways they go about doing this, one more transparent than the other. Value Added Resellers (VARs) or even independent sales agents like a telecom broker can resell a national provider's service and receive a commission. 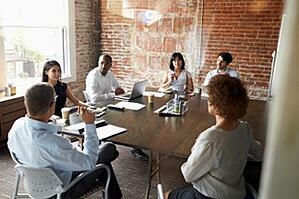 There are some VoIP businesses who have been built around using a white label platform. What this means is that the technology, system, and true back end support are provided to these businesses as a platform, but the businesses are able to place their logo into the structure and promote it as if it were their own. These companies make money on the margin, the amount they can sell above the wholesale price. Resellers or White Label VARs have less pricing flexibility and less influence over the actual solution to a service concern. They may offer a tier-one type support where they can handle some customer service items through the platform's portal, but they would need to place a ticket into that provider for more complicated support issues. However, for relatively very little risk and cost, they would have access to a very feature-rich VoIP platform. For businesses who do more than just VoIP, this is an easy way to add value to their customer base. Many times these opportunities are presented to you by your IT support company, who has added Hosted VoIP to their offerings via a reseller or white label relationship. Now that you’ve chosen the type of provider, what’s next? Once you have determined what type of Hosted VoIP provider is the best match for your business, you can begin your search for the best provider for you within the category. Again, finding the nationals is easy. But, if the regional/local or Reseller/VAR works best for you, it will require a bit more effort to find one. Once you do, the following list of questions will help you determine if they are the right company for you. Do they own the platform and system up-time, or are they reselling or utilizing another's platform in any way? How do they handle customer service (DIY or live, local support)? Do they perform all of the pre-install programming along with the physical installation of the phones? Answers to these questions will allow you to know which category the provider is operating within and narrow the list of whom to get proposals. Best of success to you in finding the right VoIP service provider for your business. Every day more small businesses convert their phone service to a Hosted VoIP provider, moving away from traditional analog phone service and phone systems. 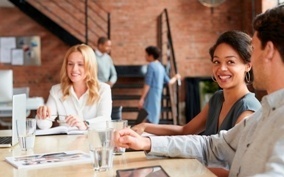 Common to the conversations with these small businesses are questions regarding the impact a switch to Hosted VoIP phone service will have on their company. Will Hosted VoIP save our business money? The short answer: Absolutely! Small businesses can expect to save money on their monthly telecom expense, long-term on their phone system expense, and through efficiencies driven to their operation. In response to the rapid decline of analog phone lines due to losses to Hosted VoIP, telecommunication companies have increased their rates. Even without the rate increases, most businesses converting to Hosted VoIP have experienced a monthly savings. Additionally, by shifting to a cloud-based phone system, small businesses only have to purchase the VoIP phones, not the phone system. Thus, future costs will only be in the form of replacement handsets or upgrades as technology changes. The responsibility for maintaining the system and keeping pace with technology improvements shifts to the Hosted VoIP provider. Finally, there are a myriad of ways Hosted VoIP technology can improve business operations. The key is that it is a software program, with flexibility to adapt to how each company does business and serves its customers. Setting up remote personnel, establishing a similar phone platform across branch locations, creating centralized call functions, enabling direct customer contact to applicable employees anytime and anywhere, and creating customer-centric call flows are just some of the concepts small businesses have utilized with a Hosted VoIP platform to drive operational efficiencies. My phone system is working, why should I change? This question is being asked less and less by prospective businesses, as the Hosted VoIP technology is now commonly utilized by businesses across all market segments. Still, many business owners have been resistant to making a technology change or simply delaying until such an investment was absolutely necessary. However, the time is quickly approaching for a decision to be made, as several manufacturers of analog phone systems have ceased production and support of the old technology. As a result, replacement parts are becoming difficult to locate or very expensive. So, rather than facing an impact to the business because of the phone system failure or constraints, business owners are moving to Hosted VoIP and considering it on a return on investment basis. Can I keep my existing phone numbers? Yes, moving (porting) your current phone numbers to a Hosted VoIP provider is not only possible, it is a regulated activity. In addition to your current customer facing numbers, Hosted VoIP providers can deploy direct dial numbers for your employees, toll free numbers, and phone numbers in different cities across the world that can route to your main location. Will we be down during the transition? This is a great question to ask of your Hosted VoIP provider, as processes differ across these providers. The goal of everyone's process would be to eliminate downtime. The phones and call programming can be configured and installed prior to the porting of the numbers. Differences exist between providers and carriers as to whether the port can be initiated on-demand on the scheduled date or if it automatically happens on a scheduled date. Obviously, if it is on-demand, there's no downtime. Calls just begin coming in on the new phones. If it is automatic, as long as the IP phones are installed before the port, the transition is seamless. Is Hosted VoIP phone service reliable? There are two areas to explore for answers relating to this question. The first is the reliability of the internet connection to the business. Hosted VoIP runs over the company's internet connection. Over the past decade, there have been tremendous improvements in the available speeds, up-time, and reliability of business internet connections. A VoIP call requires very little bandwidth, so, with higher available speeds now available, contention for bandwidth between applications is becoming less of an issue. The second involves the reliability of the hosted VoIP provider as well. Given this is a cloud based-system, there are some safeguards built in to protect customers from key failure points, such as internet outages to their data centers, equipment failures, and such. Ask for references, as the best people to ask about downtime experience are the businesses who rely on the service. The good news is that there are opportunities on all fronts to help prevent a major outage. If you're a business that has not yet made the switch to Hosted VoIP phone service, invest a little time into researching your options. Finding a provider that meets your needs and matches your values is not easy, as there are many out there. But, the benefits cited above can greatly improve your operations and bottom line. Changing phone providers isn't (and shouldn't be) top of mind for most businesses. Investing in and managing the core business is always the priority, with infrastructure investments left to wait for the right time. So, when is the right time? There are some advantages from a strategic and efficiency standpoint that could make sense to implement at any time, but there are also some clear events that signal that it is time to change phone service providers and move to a VoIP phone system. My Phone System is Failing. As phone systems age, businesses spend more and more time and resources on keeping it working. This is an expense that is often overlooked when evaluating a system change. The clearest signal that it is time to change is when the contractor used to maintain the system no longer supports the model. Many times, parts are no longer available through normal distribution channels or are no longer being manufactured. If your phone system parts are only available on eBay, then it's definitely time to make a move! A great alternative to on-site phone systems is moving to a Hosted VoIP solution. 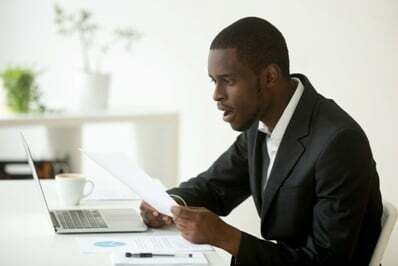 The problems cited above will not recur as it is the responsibility of the hosted VoIP provider to maintain and advance the phone system and service. The business only purchases the VoIP phones, thus the only expense down the road will be for the occasional phone addition or replacement. My Business is Moving. This is a great time for businesses to evaluate their current phone system and provider. Instead of spending the money on moving an old phone system, invest in a Hosted VoIP system. The investment costs in Hosted VoIP are low because only VoIP phones are purchased. The money saved on moving a system and potentially selling that system will more than likely offset the cost of the new VoIP phones. Additionally, moving to a Hosted VoIP platform will provide additional flexibility to the business, as phones can be deployed anywhere there's access to high-speed internet. My Telecom Contract is Expiring. This is an obvious time to evaluate options, both on the phone service and phone system. It is an opportunity to potentially save money on the monthly expenditure and remove the potential for non-budgeted expenses on phone system maintenance and obsolescence. As stated earlier, the phone system and service are not necessarily top of mind for business executives. Take a moment to review your current telecom contract to find the expiration date. Your current provider will not likely remind you that your contract is expiring and you will find yourself auto-renewed. You will find the telecom landscape has changed since you last signed your contract. Most Hosted VoIP providers do not require contracts. If they do, evaluate providers who do not, as there is no value in a term contract, except for the provider. If the term contract is to secure pricing or concessions, you will find other providers have similar price advantages without requiring a term contract. My Provider Raised My Rates...Again! One of the biggest complaints we hear about traditional phone service providers is that they raise their rates routinely. There's typically fine print in any contract signed that allows for rates to be adjusted mid-term. Moreover, rate increases are hidden in mysterious new surcharges that somehow appear on the bill. They always sound "official" like "Recovery Fee". The fact of the matter is that traditional telecommunication companies are losing traditional land lines in droves, and they're trying desperately to maintain margins by increasing their rates. Get out of the cycle of absorbing rate increases and evaluate your options, as there are plenty out there! At sipVine, we have never increased prices. If fact, we have only lowered our prices since our inception in 2005. Moreover, our published rates include any real surcharge costs we incur and we only add sales tax to our invoice. Clearly, there are great alternatives to your current situation! My Competition has a Communication Advantage. It may not be easily identified, but if your competition has moved to a Hosted VoIP platform, there are a number of advantages they have when it comes to their communication strategy. Many areas can be made to be more efficient with direct inward dialing, call flow decisions, heightened remote or key contact availability, auto attendant features, and many more advanced communication features. Where the previous four events are not high mindshare activities of business executives, leveraging infrastructure to create a competitive cost, efficiency, and communication advantage should be. This is a great reason to evaluate a Hosted VoIP solution today! When You See Increasing Phone Service Rates, Run! Phone service providers should be all about raising your expectations, not your rates. Sadly, the opposite is true in many cases. Small businesses routinely complain about the difficulty in getting something done through the customer service channels of the major telecom providers. Just as common are the frustrations that come from being rewarded for such lackluster service with rate increases. Thankfully, there are alternative providers offering rate stability, improved technology, and superb customer service. Compared to purchasing an on-site phone system, moving to a hosted VoIP platform is very affordable. Businesses only purchase the VoIP phones, not the system itself. Additionally, the financial returns carry on over the long term. The hosted VoIP provider assumes the responsibility for maintaining and upgrading the system, thus the business does not need to worry about system maintenance or obsolescence. At most, they will replace or upgrade the VoIP phones as they age. Hosted VoIP phone service is priced differently than traditional phone service. With hosted VoIP, businesses are charged for monthly service by the number of phones deployed, not the lines of service coming into the system. However, in most cases, businesses moving to hosted VoIP are paying less than traditional phone service. Additionally, most hosted VoIP providers do not require term contracts. This does not guarantee price stability, but it does guarantee that they will need to remain competitively priced to retain the customer. Despite requiring term contracts, traditional telecommunication providers have continued to increase rates to protect their margins, as their number of analog lines continues to decline with customer defections. Technology improvements and increased functionality in the telecom space have been largely seen in VoIP deployments as opposed to analog phone systems. Businesses now expect their phone system and service to be flexible and programmable, conforming to how they run their operation. Hosted VoIP enables businesses to improve their external and internal communications, becoming more present and efficient. With rising expectations for improvements to their business operations with the new technology, businesses are becoming more reliant on their Hosted VoIP provider for their phone system management. Given previous experiences with traditional phone service providers, businesses were hesitant to rely on a service provider for maintaining their phone system as well. This is where careful consideration needs to take place with the choice of Hosted VoIP providers. Frankly, the national VoIP providers haven't lived up to these higher expectations. They push their customers to their self-servicing web portal and deploy a call center approach for their support. Given the myriad of ways their system can be programmed, support is better performed by professionals familiar with the system and the options available. Self-servicing is frustrating to the customer. There are Hosted VoIP providers who provide more of a concierge type of customer service, taking the burden of phone system programming and managing off of the customer. This gives them time to focus on what is more important, their business! Because of this level of involvement with the customer, these type of providers tend to exceed expectations for customer service. As you research hosted VoIP providers for your business, be sure to ask what their pricing history has been. "At sipVine, we are very proud of the fact that we have never increased our rates since our inception in 2005", states Robert Conner, sipVine's CEO. "In fact, our rates have declined. It is our goal to be the affordable alternative to the business community for phone service and set the standard for customer service." My Phone Company Loves Me....Not! Term contracts - Contracts are a relic of the old approach in the telecom industry. Those providers who offer term contracts indicate that it is to get the best rate on the bundle of services they offer. It is evidenced by price differences between the lengths of the contract term offered. The only real benefit goes back to the provider, as they are able to hold on to their margins with these business customers for a little while longer. There are viable alternatives to the traditional phone company. In today’s marketplace, most providers of VoIP phone service do not require a term contract to secure pricing. The dreaded auto renewal - Hand in hand with term contracts are auto-renewals. These are usually buried in fine print or even referenced on terms and conditions not immediately reviewable on the order, but on a website. There's nothing worse than being ready to make a switch in phone technology and service providers and finding that your contract with the current provider auto-renewed. If you are thinking about switching to a VoIP business phone service, be sure to examine the fine print of your term contracts and save the date for making the switch on your calendar. Price increases - As more and more analog business lines are moving to a VoIP Business phone service, traditional telephone companies have raised the monthly rates on their lines. It should be noted that very little investment is taking place on the core analog technology by these providers. Raising rates is a tactic to preserve margins and not to recoup investment. Technology stagnation - Within the VoIP phone service platforms there are numerous features and benefits to advance the communication practices of your business. Analog technology is old and systems left supporting that platform do not have the flexibility of where phones are physically deployed and do not have a robust set of features to match the technology of VoIP platforms. No one likes to be in a stagnant relationship, and traditional phone providers have all the incentive to hold on as long as possible. 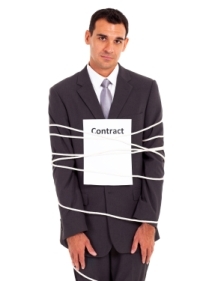 Examine your current carrier contract. 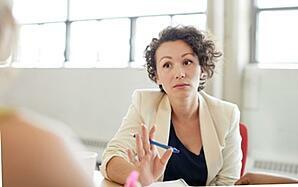 Look for your contract end date and be wary of auto-renewal provisions. Review your internal network for VoIP readiness. VoIP phones run over your office Ethernet network. If your computers are connected to your network via an Ethernet cable, you are good to go. Evaluate your bandwidth utilization. A VoIP call does not require that much bandwidth. Frankly, internet speed availability has increased dramatically over the last several years that this is not a great concern. If you haven't upgraded your internet speeds recently, you should make sure that you are not saturating your current circuit with your data usage. 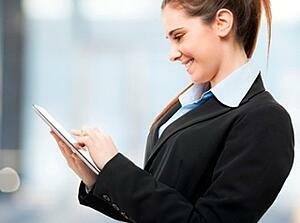 Research and select a VoIP Business service provider. The alternatives are many, so be sure to capture references. The best answer isn't always a known national brand, but going with a local provider requires careful research and consideration. There are great ones to work with. Work with your selected provider for porting numbers. You will want to time your install and number porting in context with your contract term expiration date. If your current provider requires notice, you will need to provide it relative to the timing of the install and port. Isn't it time to work with a phone provider that loves your business? Experience how refreshing and different that relationship can be! 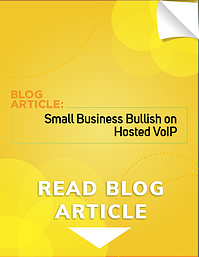 Most small businesses have already made the shift to a Hosted VoIP phone service. Many have been unable to take full advantage of the features and flexibility of these systems due to the inability to navigate the do-it-yourself programming portal pushed by the nationally branded VoIP providers. This has led to frustration with the technology. The good news is that there are Hosted VoIP providers that can take care of the complexities of the programming and help conform the phone system to the needs of the business. 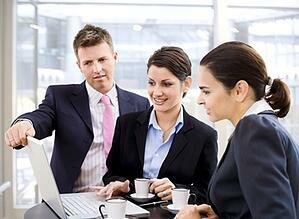 The national VoIP brands are very good at product development and marketing. They have pushed the industry toward more integration with the tools of business, helping the industry reach that Utopian "unified communications" goal that VoIP has been promising for years. Product roll outs and up-market targeting has helped them expand rapidly. They are also a marketing machine. Any VoIP related web search is dominated by the national brands. Where their focus clearly has been on top line revenue growth and product development, the national VoIP brands have left a sizable hole in their strategy for other hosted VoIP providers to fill. Phones are drop shipped and businesses are provided a portal for configuring their phones and administering them going forward. Pushing service to the end user assumes that these customers not only understand the technology, but also the capabilities! They also need to understand how to navigate the portal and remember this on future visits. Every day, hosted VoIP providers like sipVine are converting businesses over from the national brands to their local service. "In 100% of the cases where we've converted a customer from a national brand, the basic programming of the phones have been an obvious miss", says Robert Conner, CEO of sipVine, Inc. "When we're done with our work, the customer always admits that they couldn't figure out how to work through the programming and they didn't understand all of the options with their previous provider. Furthermore, the service center support basically continued to push them to the portal for their DIY servicing." Lines and Busy Lamp Fields (BLFs) - VoIP phones can be set up in a variety of ways. For example, one of the phones sipVine deploys is the Polycom VVX400. It has twelve buttons for programming. A typical set up would be two buttons for the user's direct dial/extension, two for a customer's main line (if that user is on the main line ring group), and the balance for BLFs. These BLFs are essentially speed dials to other users on the system that can be lit up when the person is on the phone, hence the name "busy lamp". With a DIY phone from a national, we typically see that all fields are showing the user's extension, so the programming to make the phones operate better for the customer was never explained or understood. Ring Groups - Calls into the main line or to groups from an auto attendant can be programmed to flow to best meet the demands of the customer's callers and to match internal staffing requirements. Calls can "ring all" or ring one or a few, then others. This is a key step in making sure the phones work for all of the parties, and one missed routinely with DIY programming. Ineffective call flows can lead to dissatisfied callers and an inefficient use of internal resources. Auto Attendants - These can be set up before or after the main line ring group, depending upon the desires of the business. Options will route callers to their appropriate parties in a variety of customized ways. Again, understanding the customer's need and doing the programming is typically performed by the full-service Hosted VoIP providers. Customization to the User - Each user can have a variety of set up choices. Examples would be voicemail received to the phone, to email, or to both; caller ID delivery set up for their direct dial number or the main line; and add a duplicate soft phone app to their cell phone. BLFs can also be different for each user. These are just a few of the up-front programming options covered by the full service approach. These ensure that the VoIP phone service is set up to the delight of the business and their callers. Perhaps even more meaningful is the service after the install. Where it can be nice to "self-administer" your phone system, it can be refreshing that when you contact your VoIP provider they, first, know who you are and, second, are willing to quickly make any and all changes for you. This keeps the expertise required to perform these tasks with the provider and not with the staff of the business, so they're free to perform the work of the business and not the administration of the phone system! So, when searching for the best phone service among VoIP providers, the answer isn't always the recognizable national brand. Yes, these brands will always be on the cutting edge with new features, but they are outperformed routinely by the full service VoIP providers! This week is National Small Business Week, a celebration and recognition of small businesses across the country. Small businesses make up over 99% of the employers in the United States and are responsible for two out of every three jobs. 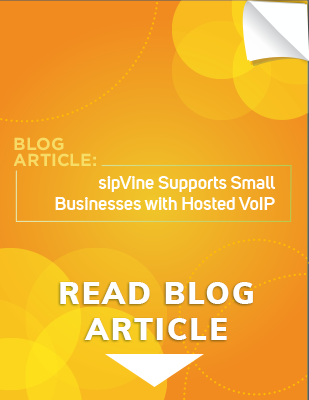 Thus, it is no surprise that nearly all of sipVine's Hosted VoIP customers are also small businesses. We'd like to recognize and thank all of our customers for their loyal support and continuous referrals. Small businesses gravitate toward the Hosted VoIP phone services for a variety of reasons. We recently drafted an article covering the 5 Reasons Small Business Choose Hosted VoIP where these are detailed. Here we'd like to focus on why they are choosing sipVine as their provider of choice! Concierge Approach to Customer Service - The national VoIP providers have done a good job developing a self-servicing portal and have driven their customers to handle their phone administration. At sipVine, we were out to set a new standard for customer service and the concept of "self service" didn't fit in with the strategy. Moreover, we have heard from numerous former customers of the national VoIP providers that such portals were not that intuitive and drove more frustration than freedom. Thus, sipVine handles all of the phone administration and programming for our customers. The standard we set is to be seen as their phone department, not a provider. Programming Service to Meet Specific Needs - One of the benefits of the concierge approach is that we conduct a pre-install meeting to go over all of the specific requirements of the business. The call flow, auto-attendant, feature utilization, and specific phone layouts are all considered. The designed is turned over to our technical team and they handle all of the programming. Again, we do not push customers to self-provision. We have witnessed on 100% of customers moving to us from the national providers significant misses in how their phones were programmed. 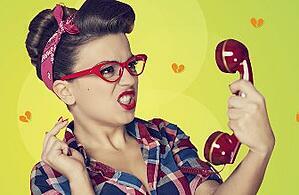 Let sipVine handle the phone programming and you can get on with managing your small business! Large Coverage, Local Feel - sipVine covers over 90% of the rate centers across the country, but we support our customers with a local approach. We don't deploy a call center approach to support or sales. All of our support and sales personnel are located at our corporate headquarters in Kansas City, MO and we do not off-shore or contract out such important customer-facing activities. Because we get to know each business and how they want the system programmed, we are able to support them the same way. sipVine is deeply rooted in the business community and feels a kinship with each and every customer. We invite you to call and feel the difference! We'd love to welcome you to the family! Small businesses are the lifeblood of America and the driving force behind the proliferation of Hosted VoIP phone service. According to a 2016 report by Babson College, small businesses make up 99% of the employers in the United States and existing businesses account for 60% of the private sector's net new job growth. This statistic emphasizes the importance of a flexible, scalable phone system for small business and is one of the many reasons small business chooses a Hosted VoIP platform. Below are five reasons small businesses are discovering the benefits and moving to Hosted VoIP phone service. Enterprise-Level Features and Benefits - Whether the business is large or small, businesses compete. They compete for the attention of their target audience. They compete to keep their customers' loyalty and satisfaction. Therefore, they look for a competitive edge over their competition. Small businesses deserve the same competitive advantage as their large counterparts, but rarely can afford the solution. This is not the case with Hosted VoIP phone service. Hosted VoIP platforms include the same features and benefits of an enterprise-level phone system all in an affordable package, perfect for businesses of all sizes. Affordability - According to the Babson report, business owners value technology and are hindered by costs. The affordability of Hosted VoIP technology and the value business owners place upon technology is one of the reasons why this technology has been so widely adopted in the business marketplace. Many times, businesses with Hosted VoIP see their monthly outlay for phone service and phone system maintenance decrease when compared with their old traditional analog phone system. Additionally, the value most inherent to a Hosted VoIP phone system is the fact that businesses are not purchasing a physical phone system! They only need to purchase the VoIP phones and those phones are connected to the cloud-based phone system maintained and managed by the Hosted VoIP provider! Thus, these businesses achieve a lower monthly outlay for a low cost of investment. Flexibility - Small businesses are nimble. They expand and contract as the market opportunity dictates. They need a phone system that can grow with them and match their level of nimbleness. With Hosted VoIP, businesses can add phones when and where they need them. Business do not have to overbuild a phone system to accommodate growth, but only add phones as they grow. Also, because they are connected to a cloud based system and not a system housed in their office, they are able to deploy phones wherever they need. If their growth necessitates phones in another location or if they need to deploy a work at home team, Hosted VoIP phone service can accommodate their needs. To the caller, they would have no idea where the phone calls are being answered! Additionally, growing businesses can move locations with no downtime with Hosted VoIP. 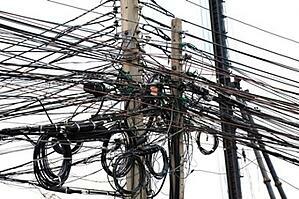 They do not have to worry about the physical move of a system and contacting the phone company to move their lines. They simply move their phones to their new internal office network and they're in business. During the move, they can forward their calls, or even move a phone or two to the new location while keeping calls coming into the old location until all are ready to move. Future Proof - Given the pace of technological advancements, small businesses worry that their investments in infrastructure and technology will be rendered obsolete in a short amount of time. This is reinforced with their past investments in phone systems, as parts or replacement phones become more expensive or difficult to find and service calls become costly. With Hosted VoIP, the responsibility to maintain the phone system is shifted entirely to the Hosted VoIP provider. They are charged with keeping the phone system and features on the cutting edge and certifying the newest VoIP phones on their platform. As time goes on, businesses are introduced to new features and capabilities. As their phones age or are damaged, they can be replaced with newer models that will work with any old phones they continue to utilize. A safe technology investment is music to their ears! Competitive Advantage - So, small businesses choosing Hosted VoIP receive enterprise-level features, monthly cost savings, a low cost of purchase, flexibility in deployment, and avoid obsolescence! They can program the features to improve their communications, internally and externally. All of this delivers a competitive advantage to their business, helping them flourish and succeed in today's market climate. If you're responsible for a small business, take time to research Hosted VoIP providers and gain this advantage over your competition!